Berimbau is a unique musical instrument which is an essential piece in capoeira roda. As Brazilian masters said: “Berimbau é dono da roda de capoeira” (Berimbau is a host of roda). 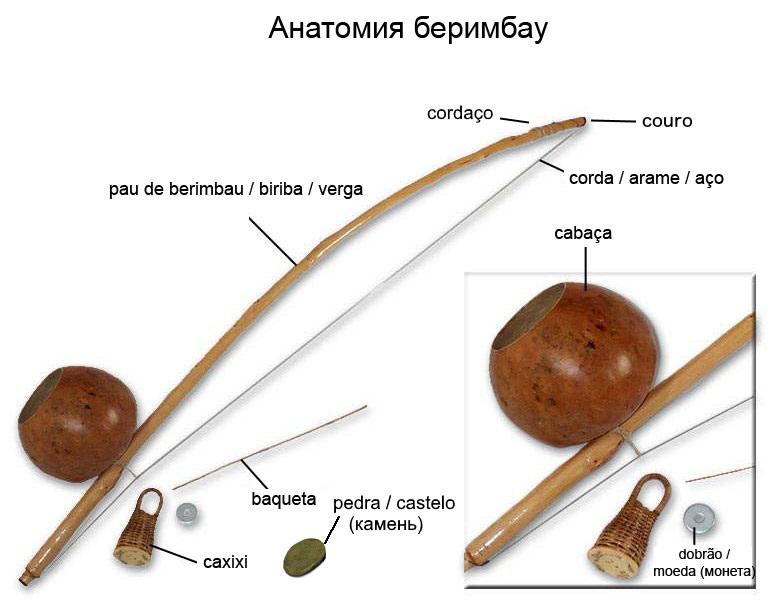 Gunga– is the largest and lowest-pitched berimbau, the main berimbau during the roda. Gunga leads the rhythm so the other instruments follow it. There is no improvisation for gunga. 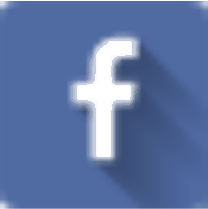 Media– a medium-sized berimbau. The pitch of its sound is in the middle of gunga’s and viola’s. Typically, the basic rhythm that sets by Gunga is played with the media, capoeira players play short improvisations with the media. Viola– is the higest-pithed berimbau. Improvisations are mostly played with the viola. Verga – Pau (verga) – this wooden stick is called to be the backbone of the Berimbau. Aço, Corda or Arame – usually the same as the metal string used in the automobile tires. Couro – is a small piece of leather fixed to the top of the verga so the string goes through it and doesn’t damage the wood. Cardaço – is a short rope that is tied on the end of the arame and fixes it on the verga. Cabaça – is a hollowed-out and dried gourd, used to amplify and resonate the sound. Dobrao, moeda or pedra, castelo – is used to diversify the sound of the Berimbau, pressed against the arame to change the tone of the berimbau. An alternative of the coin (dobrao) could be a small flat-formed stone (pedra). Baqueta – is a made of wood stick and is used to strike the Arame and produce sound. Caxixi – a small percussion instrument, which consists of a closed wiker basket shaker full with dried beans or small stones.